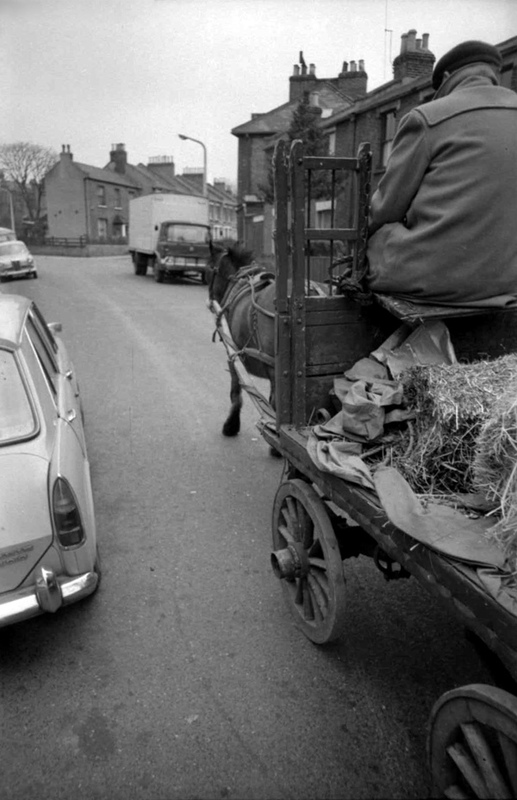 There is little traffic on the road, children are at play, housewives linger in doorways, old men doze outside the library and, in the distance, a rag and bone man’s cart clatters down the street. 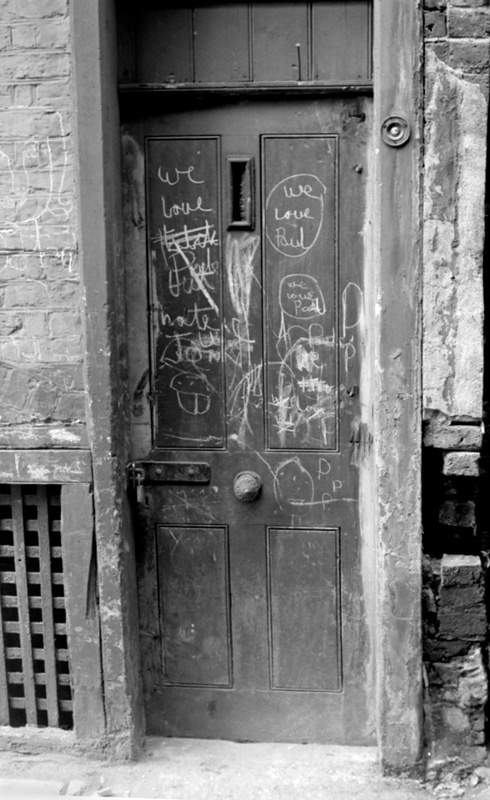 This is the East End in the afternoon, as photographed by newspaper artist Tony Hall in the nineteen sixties while wandering with his camera in the quiet hours between shifts on The Evening News in Fleet St. 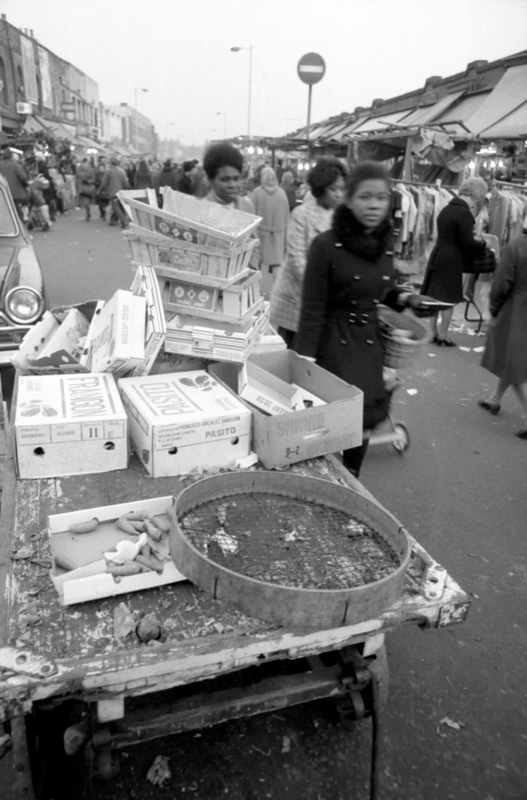 Contemplating Tony’s clear-eyed photos – half a century after they were taken – raises questions about the changes enacted upon the East End in the intervening years. 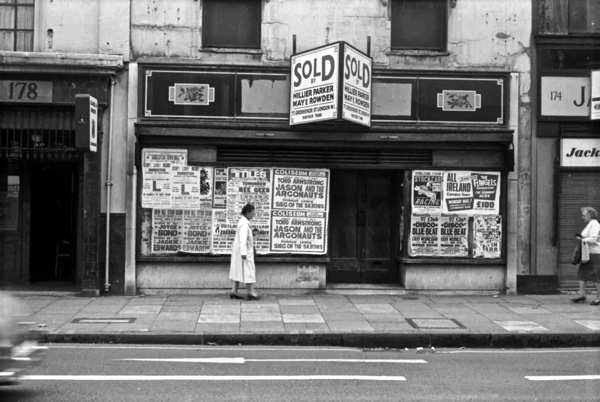 Most obviously, the loss of the pubs and corner shops which Tony portrayed with such affection in pictures that remind us of the importance of these meeting places, drawing people into a close relationship with their immediate environment. 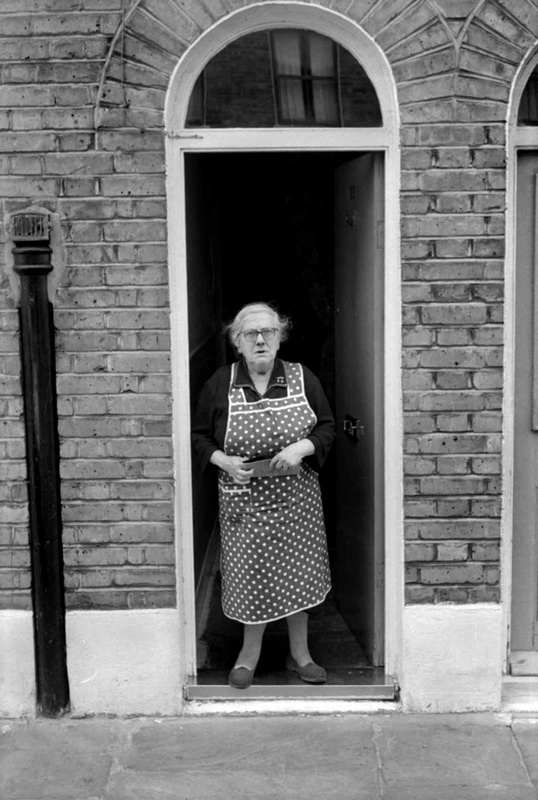 In 1972, Tony Hall left The Evening News and with his new job came a new shift pattern which did not grant him afternoons off – thus drawing his East End photographic odyssey to a close. Yet for one who did not consider himself a photographer, Tony Hall’s opus comprises a tender vision of breathtaking clarity, constructed with purpose and insight as a social record. Speaking of her late husband, Libby Hall emphasises the prescience that lay behind Tony’s wanderings with his camera in the afternoon. ”He knew what he was photographing and he recognised the significance of it.” she admitted. 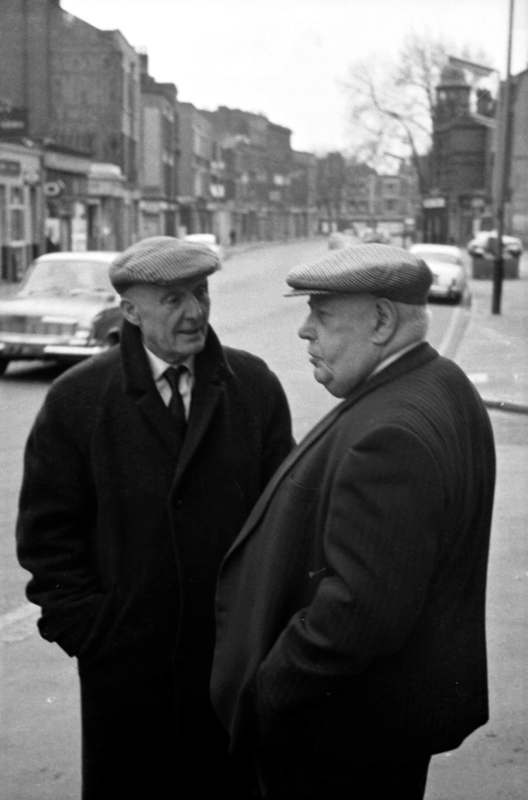 These beautiful streetscapes – published here for the first time – complete my selection of pictures from the legacy of approximately one thousand photographs by Tony Hall held in the archive at the Bishopsgate Institute. lovely stroll back in time. 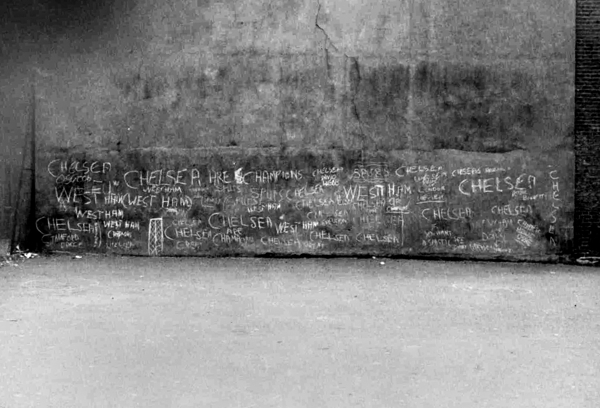 I’m wondering if some of the images may have been taken around Hackney Rd, Columbia Rd and London Fields? Could be wrong. Ridley Rd is instantly recognisable of course! Great series, it really has been a pleasure to see. Thank you. Marvellous photographs. Seeing them really gives a sense of how much has changed over the past fifty years. 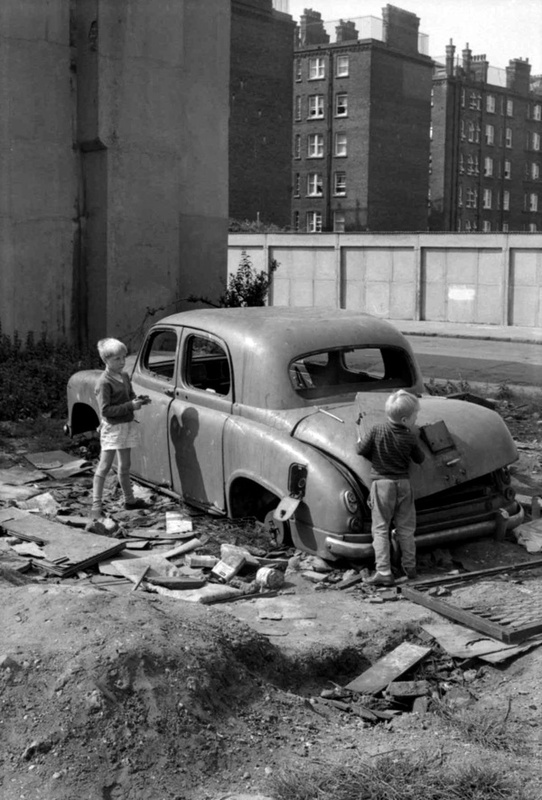 Wonderful pictures, have loved looking through them, so nostalgic. Many thanks Libby Hall for sharing them with us. I’m sure this is Royston Street. I lived at no:24 the house on the right nearest is no:26. Wonderful photographs. Many thanks for sharing. 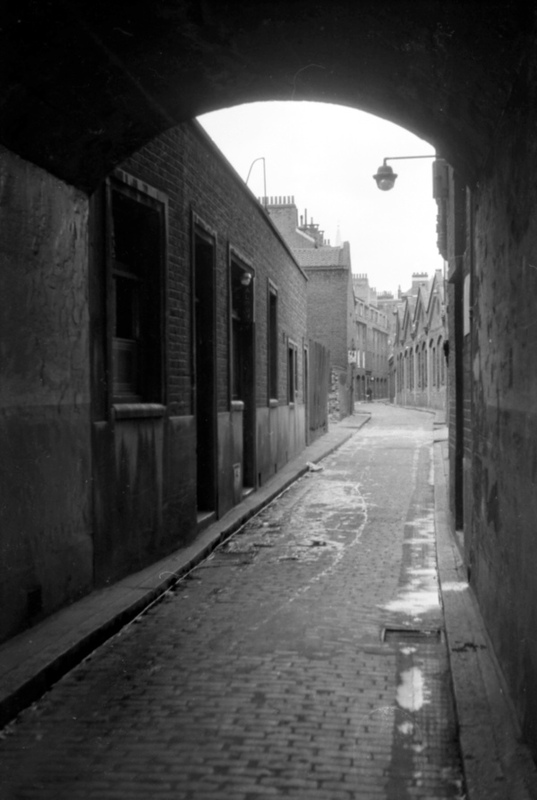 The archway to Gunthorpe Street is still the same. 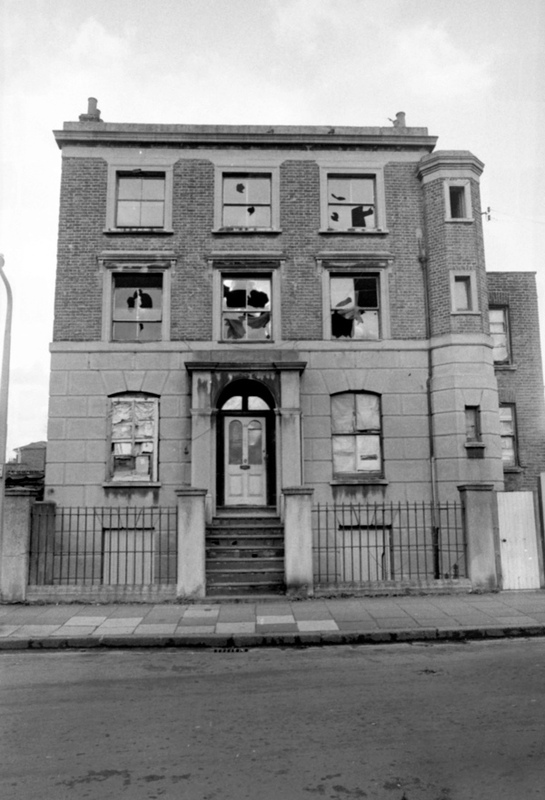 The first one is Norah Street, Bethnal Green, now demolished. It was used as a location for a Mother’s Pride bread advert starring Dusty Springfield and can be found on You Tube. I don’t know if anyone is interested, but the lady in the picture by a dust shoot with the railings above her head, is Mrs Emma Green. 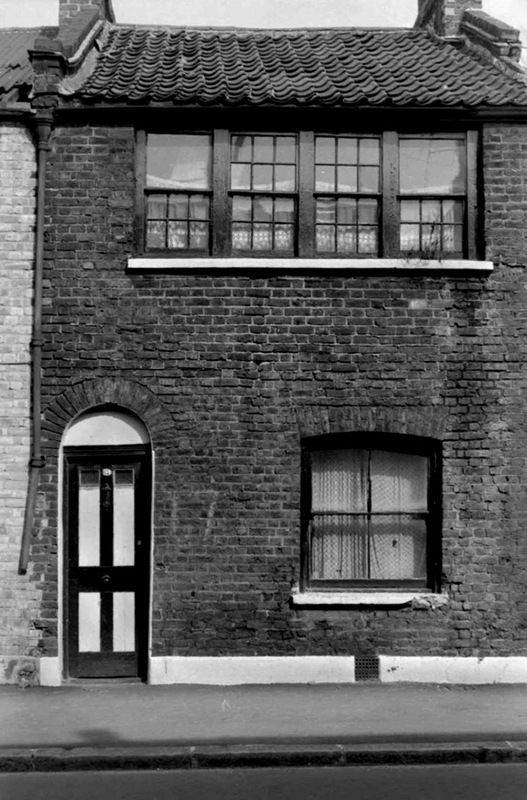 The buildings then were Great Eastern Buildings , Quaker Street. Mrs Green had lived in those Buildings for many years and was my grandmothers friend. I think there is also a photo of Mrs Green in the pubs selection, holding a pint. Juliet – thanks for that! 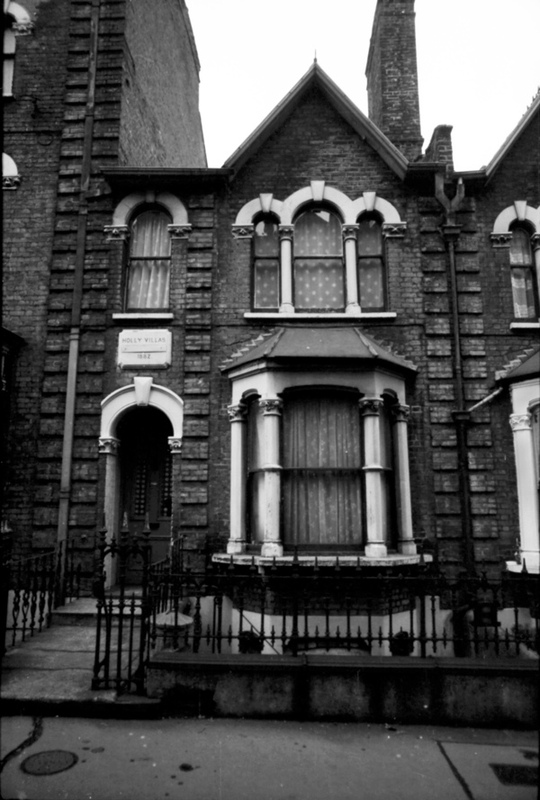 Quite amazing that I lived five minutes walk from the place you’ve identified in those shots (on the corner of Kenworthy Rd and Mabley St) for twenty years! I even had friends that lived in Bushberry Road – but I don’t think I ever walked to the end of it. How wonderful to have Mrs. Green Identified. I’ve always admired the relaxed, assured way she was standing for that photograph. And also how she looks in the pub photograph. (The pub photograph was taken the same day. It is in the same strip of film, and Mrs. Green is wearing the same dress and cardigan.) I think she and Tony must have got on well together and enjoyed each other’s company. How pleased Tony would have been to have his photographs shared in this way, and how much he would have liked the Gentle Author’s thoughts about his photographs. 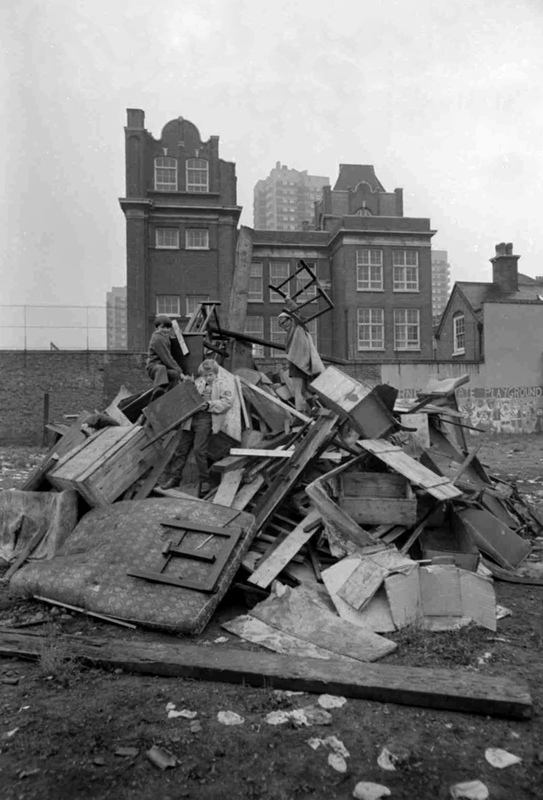 I have just finished reading – for the third time in 40 years – the marvellous ‘East London’ by Robert Sinclair. 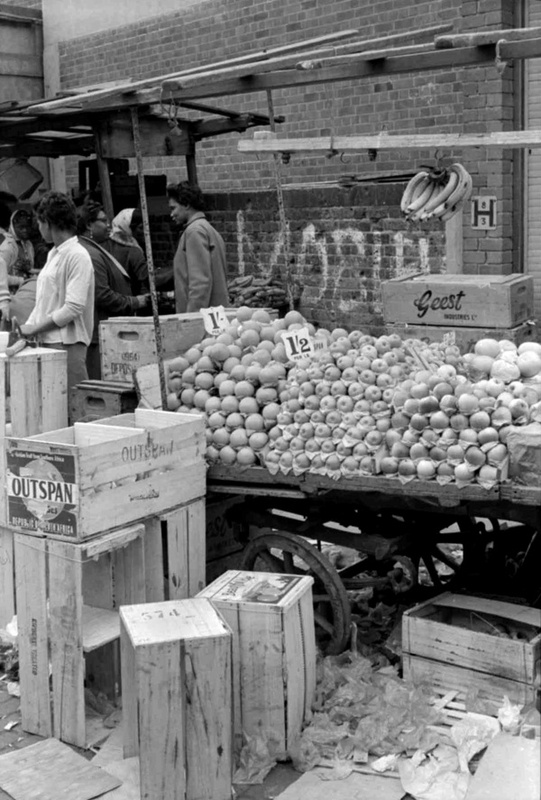 Written just after the war, and published in 1950.
wonderful pictures – and the price of the fruit and veg!! Shot 3 taken looking west at the southern end of Hayfield passage, showing the little street that joins the larger and smaller parts of Stepney Green at the northern end of the green. Cressy Buildings can be see at left edge of the shot. The 3rd image from top is Clink Wharf. 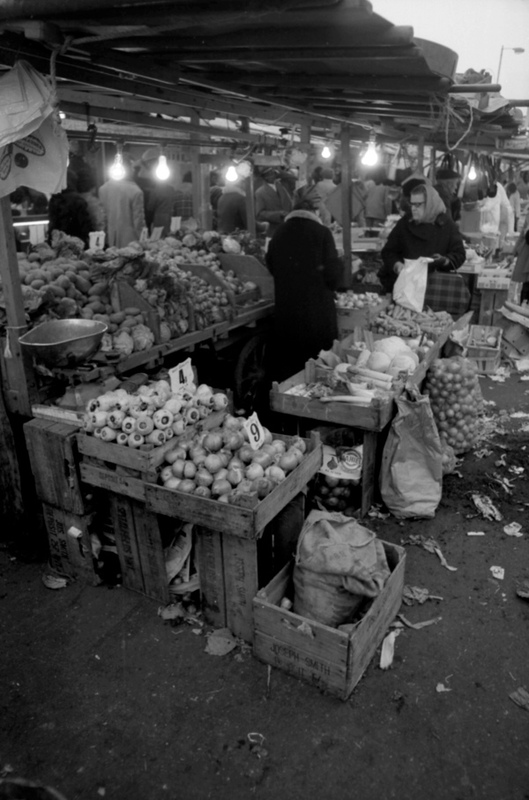 I was with Tony when he shot this image on his Pracktica Spr Tl / Flextogon 24mm lens. Great photos. Tony’s images make us all aware that we should be recording the social environment around us for future generations. Where is Clink Wharf. I agree with phil. 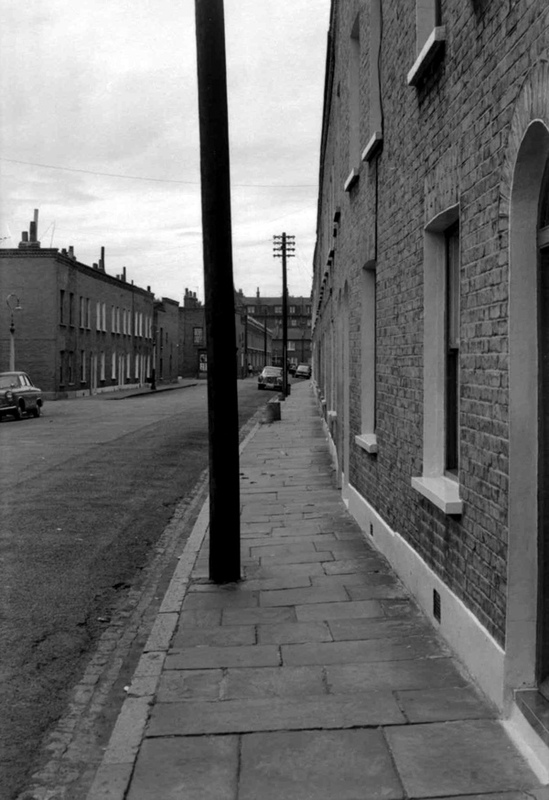 I walked past that street every day, in Stepney. photo 4. Lovely! What a treat it would be to find a photo of my forebears’ cigar factory, Zeegen Brothers, which stood in Chicksand Street. I live in hope. 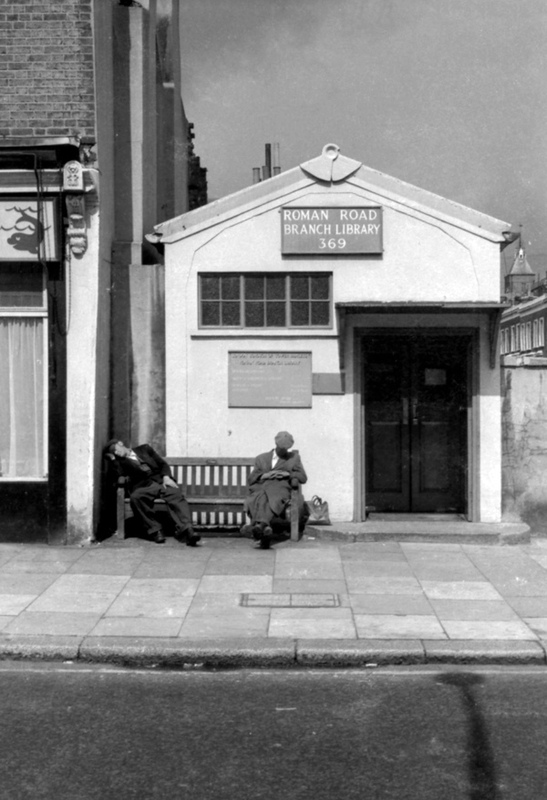 Great shot of the Roman Road branch library – which was located at the end of our street – Vivian Road E3. I always wondered what the building was – now I know! Sadly it has been knocked down and replaced with flats in the last year or so. Thanks for sharing. Great post, as always, thanks. I have had a wonderful few hours looking through the pictures on the web site. I lived in Stratford which has completely changed now with the help of The Olympics. I worked in Holborn near the Viaduct. The pub in Stratford was the only one I knew but I had never seen inside it. Thank you. I left a reply on 2nd February but it didn’t make it to the page for some reason. 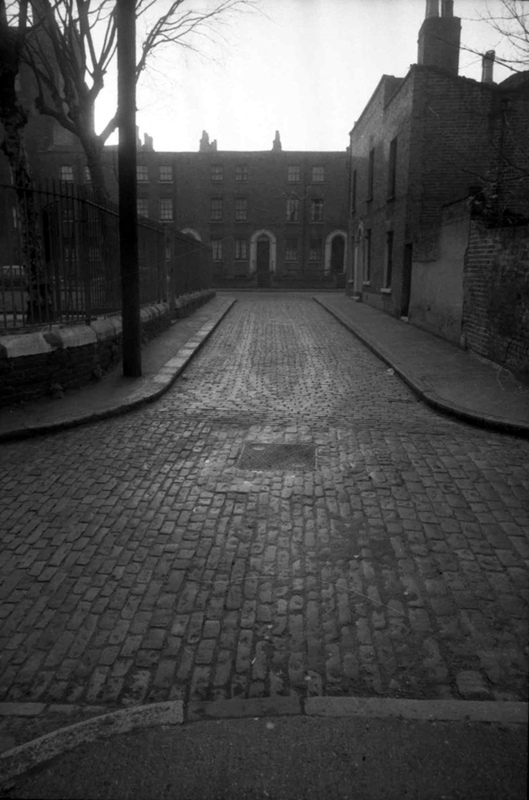 As Lesley says, the first picture is Norah Street. I lived there as a baby and my grandmother lived there for many years. I remember staying with my grandmother and playing in the square. I was so pleased to see that photograph. I love these photo’s. They are the sort of photo’s that I would take. When I look at them, I feel part of them. As though all the people that have lived or used that building, have left a little piece of themselves within the structure, to make it what it is. They have the elegance of the working class, solid, strong, worn. 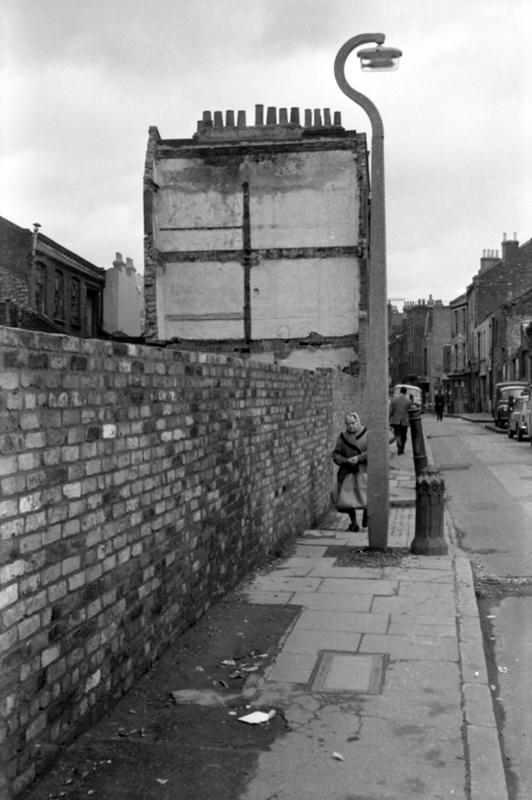 The opening picture is Norah Street now demolished, consisted of two squares with a road between them, no traffic in the squares. 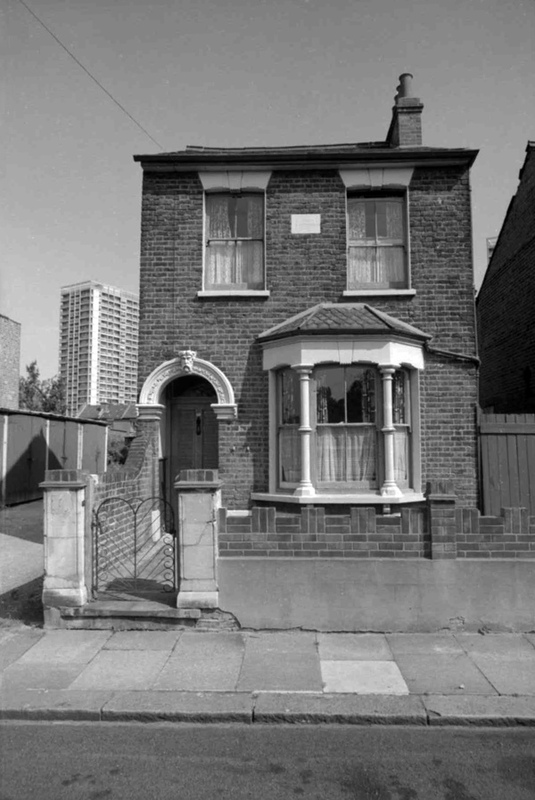 It was just off Old Bethnal Green Road. 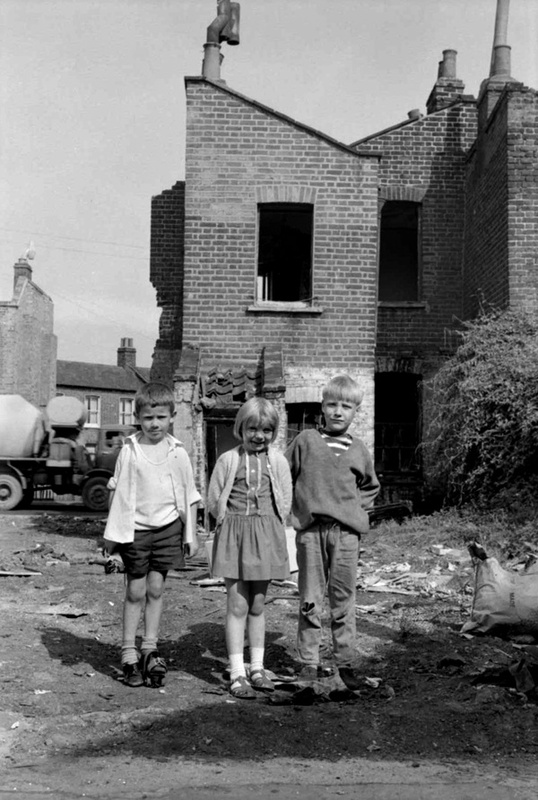 My aunt and uncle lived there until slum clearance came along. 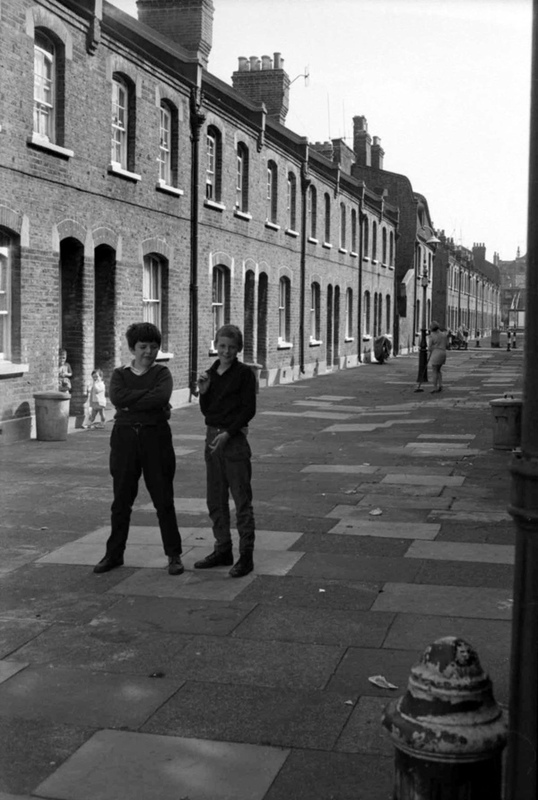 Photo 686 is in Hackney Road looking west with Columbia Rd on the left and the ‘Cats Park’ on the right. 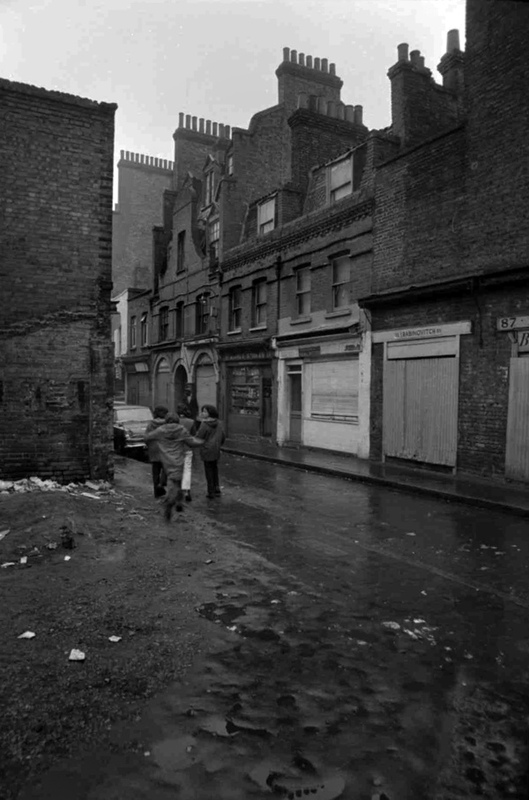 Norah Street picture has Tommy G and Alan S,in it,with Mary S,in the background sweeping up,lived oppisite in The Westminster Arms,as a boy. great pictures. 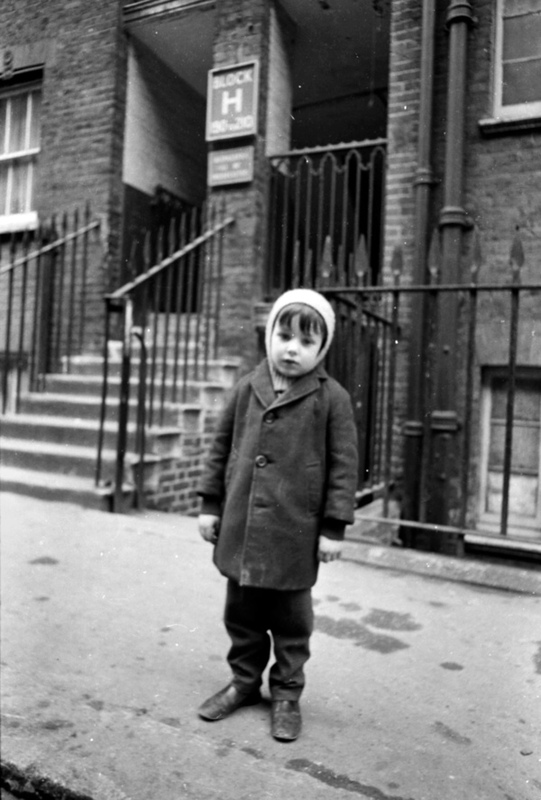 Picture 17 with the little boy in front of the “H Block” sign was Charlotte De Rothschild Dwellings in Flower and Dean street, Whitechapel. They were always known as Rothschild Buildings. Chris Hall. 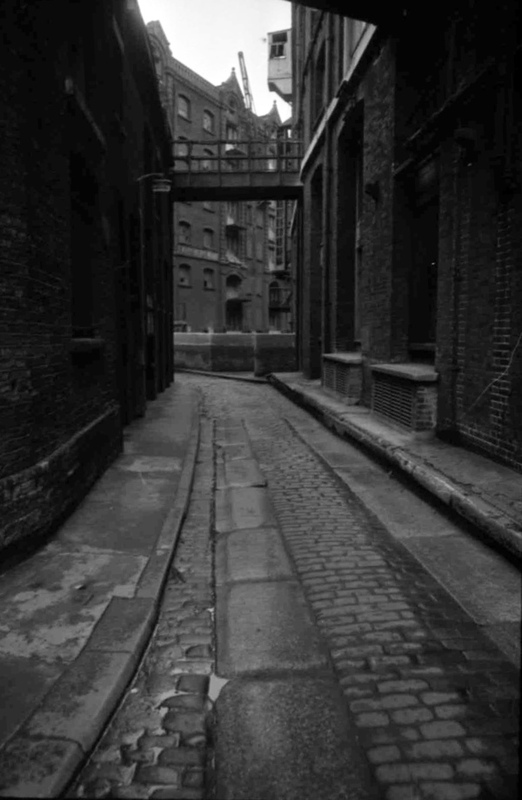 This is a ‘shot in the dark’ but I am interested in Great Eastern Buildings, Quaker Street, London because my mother and her 5 siblings grew up there 1910 – 1940–ish. My grandmother’s name before being married was Emily Green, but I do not think it is her in the picture. However, her mother (‘Granny Green’), whose first name I do not know, may well have given her name to her daughter, and may well have been living in the buildings too. Could you tell me if she was of Irish decent (Clonmel?) or if anything else I have written above ‘rings any bells?’. I have never seen a picture of my Great Grandmother. It would be amazing if it was her. 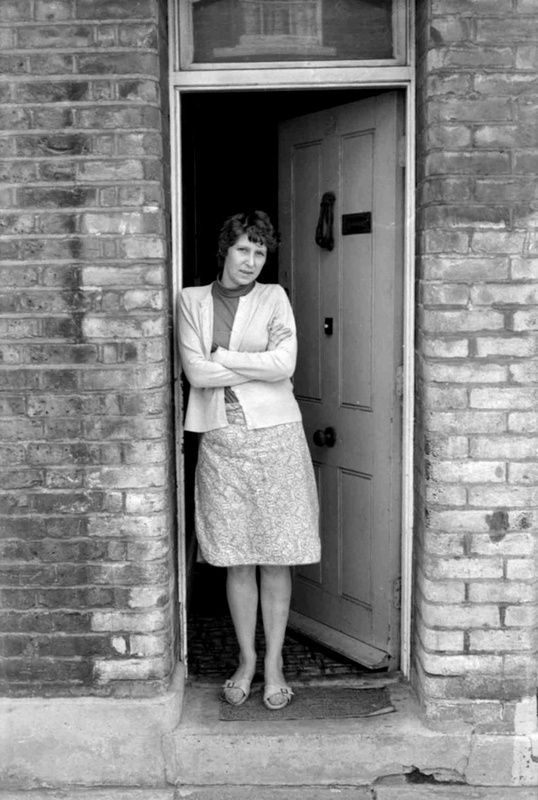 Hi all I knew Emma green very well we lived in the block opposite and was friends with my nan they used to drink at the two brewers at the end of the rd in brick lane I knew most people in the buildings as I lived there all my life from a child and left there in 68 when I got married I am now 72 And live in Surrey. I lived in the buildings for much of the 1960s and have been writing a little autobiography on those times (as best my memory serves). 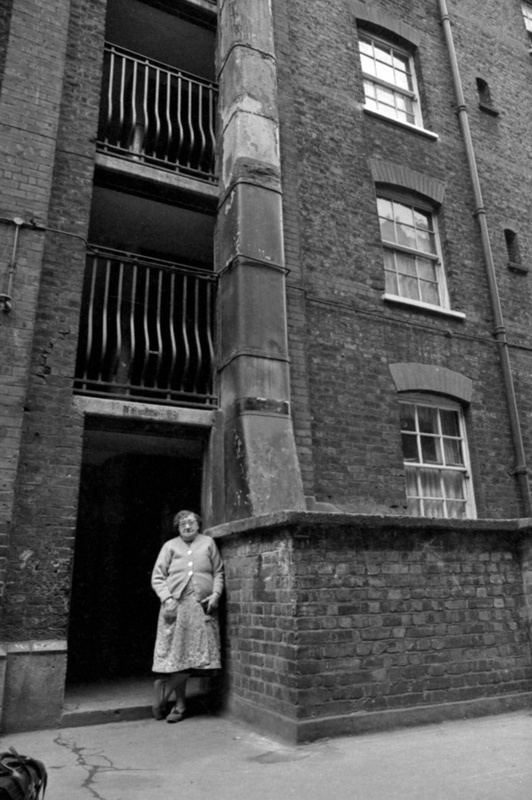 Sheila I don’t recall you as you were a little older than me but I lived in the block where Emma Green is standing – on the 3rd floor – you can see my window at the top of the picture. I would love to hear from anyone who has any memory/knowledge of the buildings. @Libby: I have garnered a few more pics of Great Eastern Buildings, from different sites. You are welcome to have them if you would like to get in touch. Without us ever realising, Tony Hall has done a great deal in helping us keep our memories alive. An inspiring man indeed. Re: The photo of the elderly lady walking past the street lamp ( 4 frames from the end). This is almost certainly Old Montague Street looking west to east. 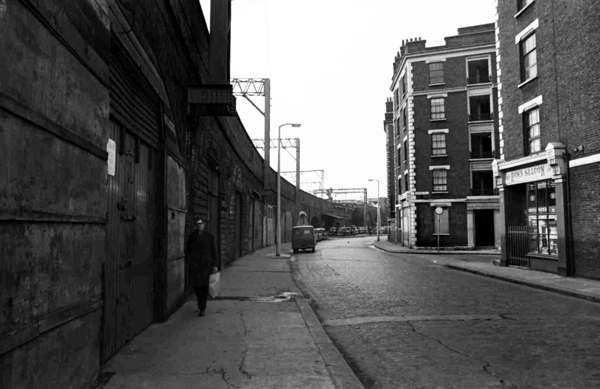 Just beyond and to the right of the man in the middle of the road were some steps leading down to Black Lion Yard which was connected to Whitechapel Rd. 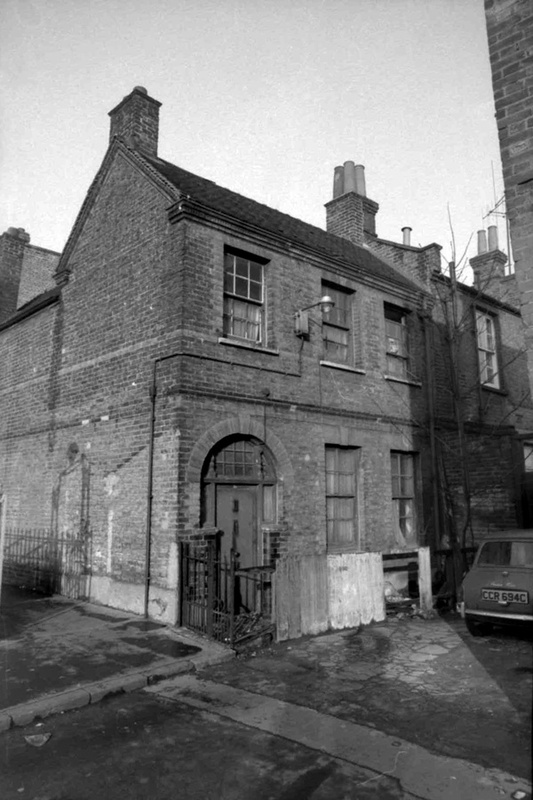 Black Lion Yard had quite a number of Jewellers, almost an East End Hatton Garden in miniature. Try Google Search, Old Montague Street then images. When my grandmother married at St Stephens Church, Spitalfields ( now demolished), in 1920 her address was given as 39 Great Eastern Buildings. Her name was Rose Emma Davies and she married Arthur Ernest Playle. 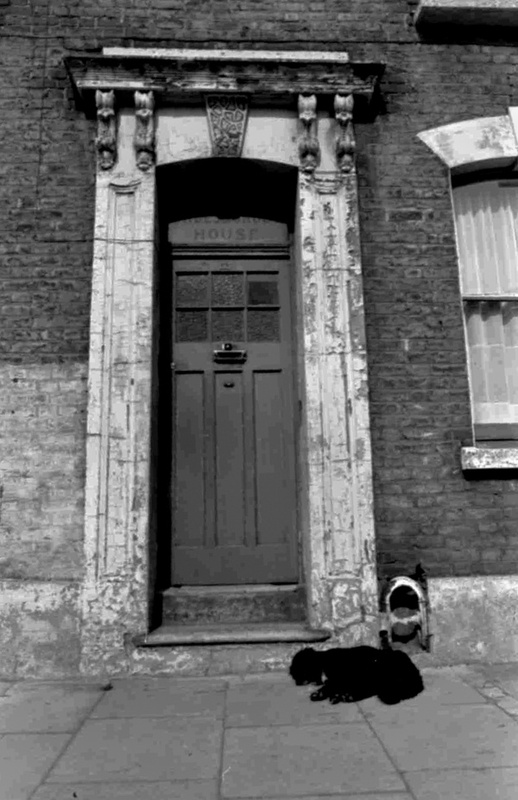 I wish I knew what street Colin Stevens referred to as Royston Street my mum was born at number 13.